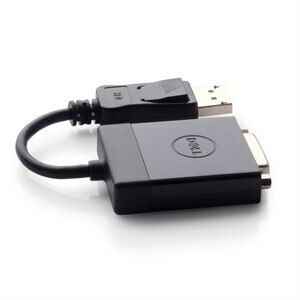 The Dell DisplayPort to DVI (Single-Link) adapter lets you to take video content from your laptop or desktop and display it on any monitor, projector or HDTV featuring a DVI (Single-Link) input. This user-friendly adapter supports a maximum video resolution of 1920 x 1200 and ensures a quality viewing experience. The adapter can be used to enjoy movies on a home projector, mirror your desktop for an expanded workstation or show presentations at school or work. 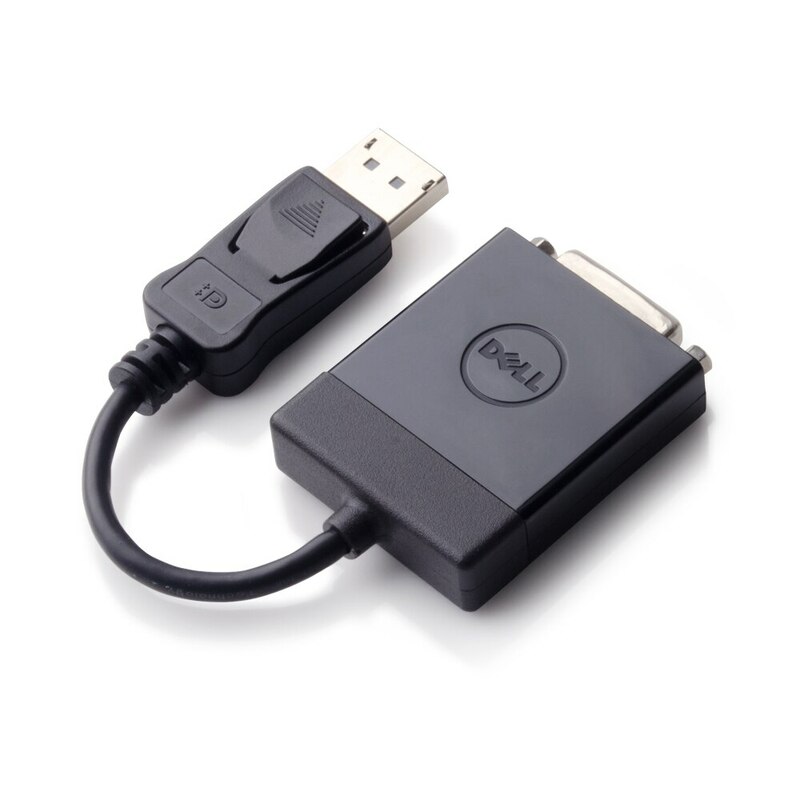 The Dell DisplayPort to DVI (Single-Link) adapter enables you view video content from any laptop or desktop with DisplayPort (DP) video output on a variety of DVI (Single-Link) compliant displays, ranging from monitors to projectors. Compliant with DisplayPort specifications version 1.1a and supporting a maximum video resolution of 1920 x 1200, this user-friendly adapter ensures a quality viewing experience. This video adapter allows you to take video content from your laptop or desktop and display it on any monitor, projector or HDTV featuring a DVI (Single-Link) input. As long as your device is equipped with a DP output, this compact adapter ensures a seamless conversion. Use it to enjoy movies on a home projector, mirror your desktop for an expanded workstation or show presentations at school or work. 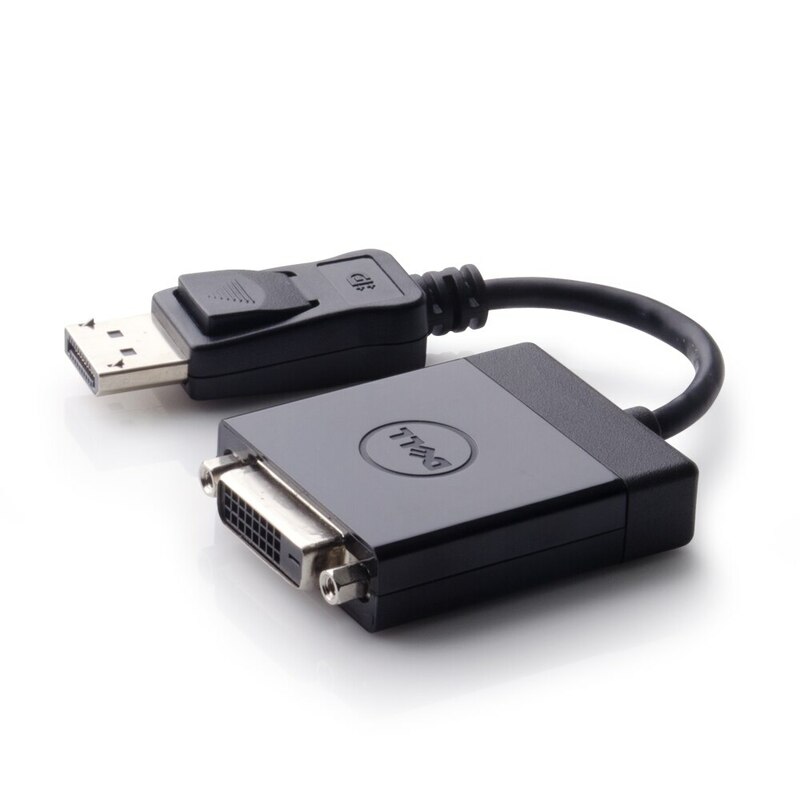 The Dell DisplayPort to DVI (Single-Link) adapter supports video resolution of up to 1920 x 1200, making it ideal for enhanced presentations and intricate graphics. Measuring 8 x 1.7 x 0.5 (L x W x H) inches, this plug-and-play adapter is easy to use and keep handy for impromptu presentations for clients or movie nights with friends. The adapter is fitted with a DisplayPort on one end and a 24-pin Digital DVI on the other, a standard fit for a wide variety of DVI compatible display monitors, projectors and HDTVs. 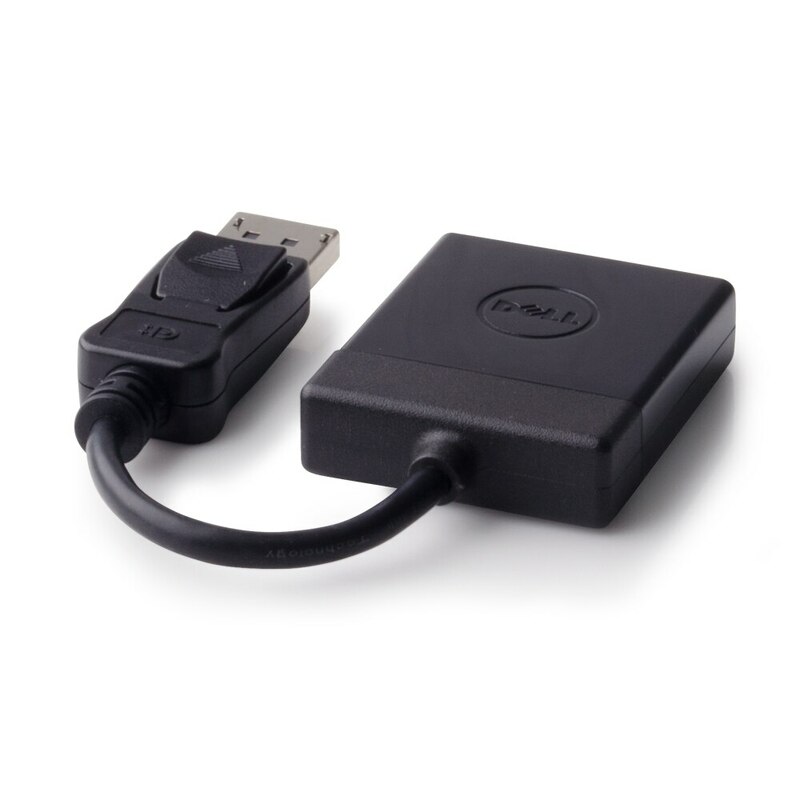 Purchase with confidence and rely on the protection of a 1-Year Limited Hardware Warranty1 from Dell and 1-Year Advanced Exchange Service2 for your Dell DisplayPort to DVI (Single-Link) adapter. 1 A valid proof of purchase is required for warranty claims. For copy of Ltd Hardware Warranty, write Dell USA LP, Attn: Warranties, One Dell Way, Round Rock, TX 78682 or see . Dell DisplayPort to DVI (Single-Link) adapter.